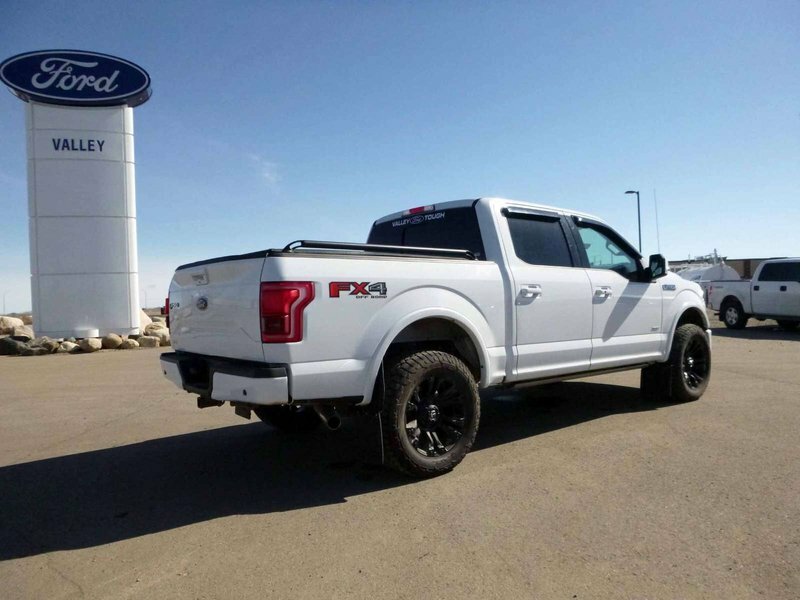 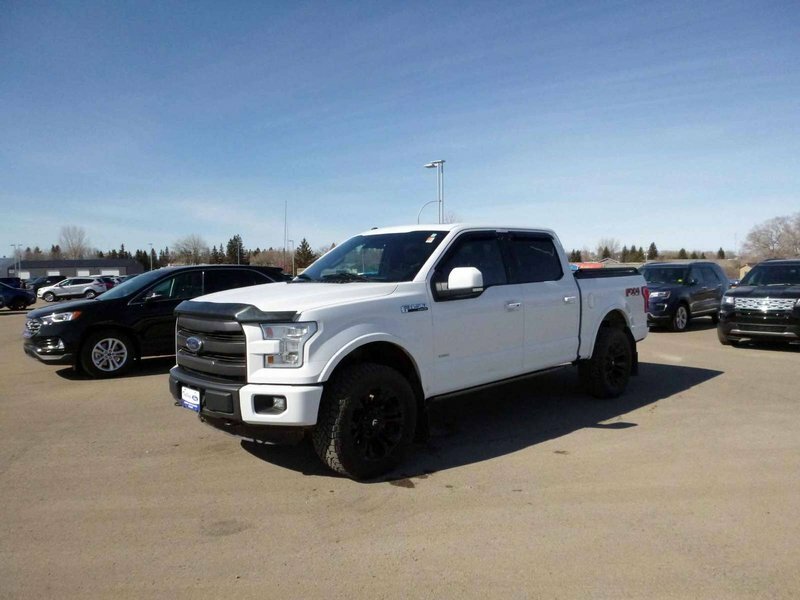 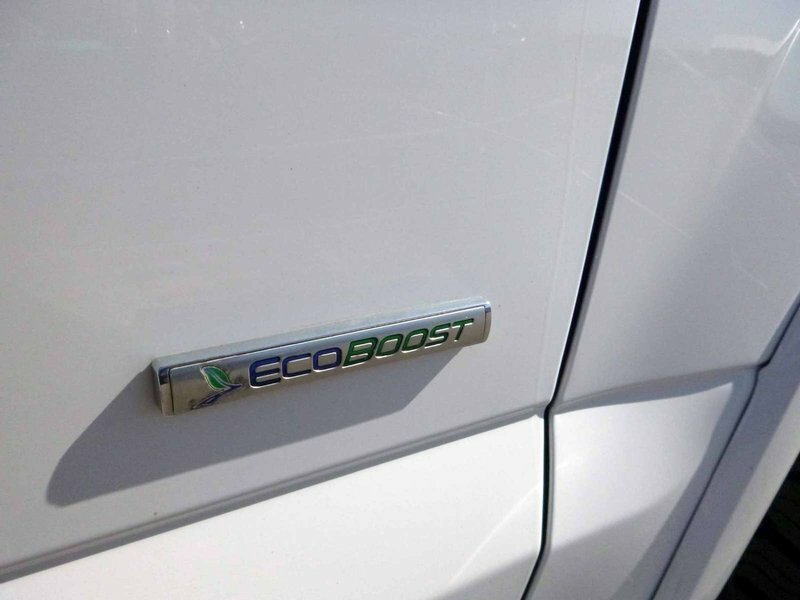 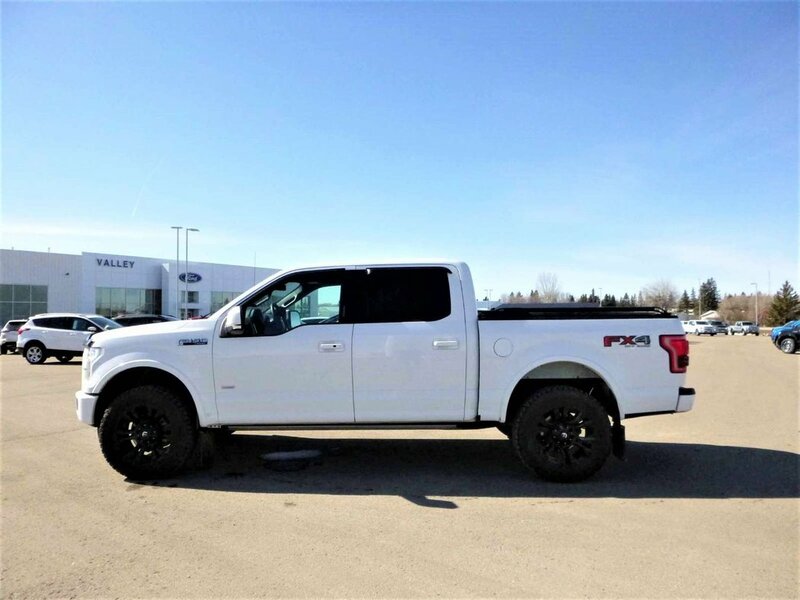 2015 Ford F-150 LARIAT CREW 3.5L ECOBOOST, 5.5' BOX, LARIAT SPORT PACKAGE, TECHNOLOGY PACKAGE, POWER RUNNING BOARDS, FUEL SHOK RIMS, TONNEAU, SPRAY-IN LINER & WAY MORE! 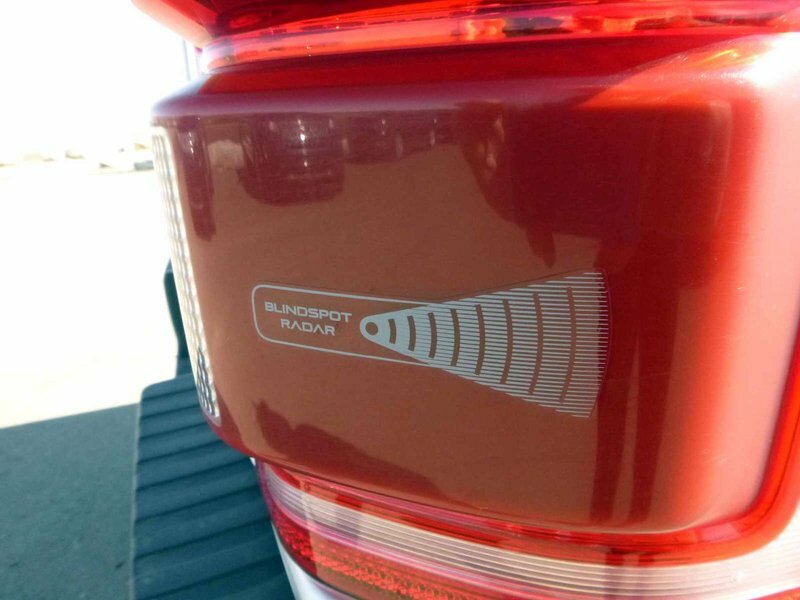 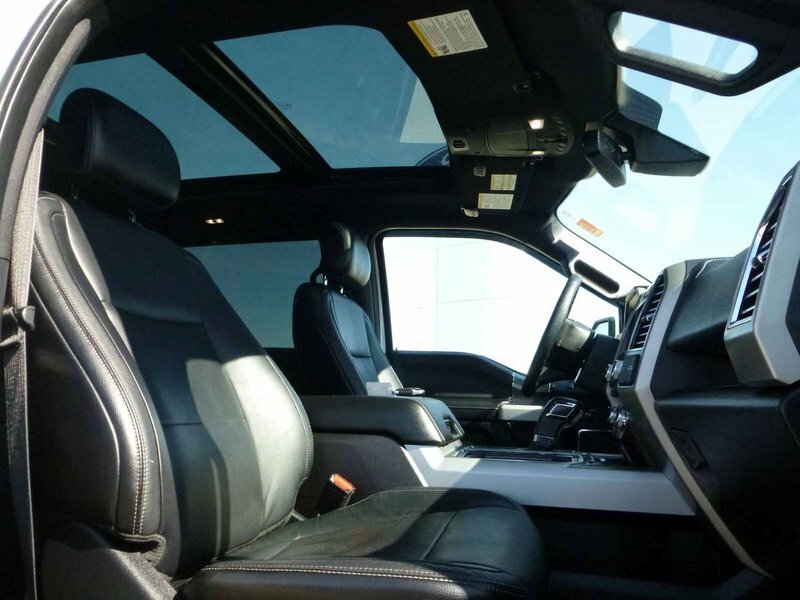 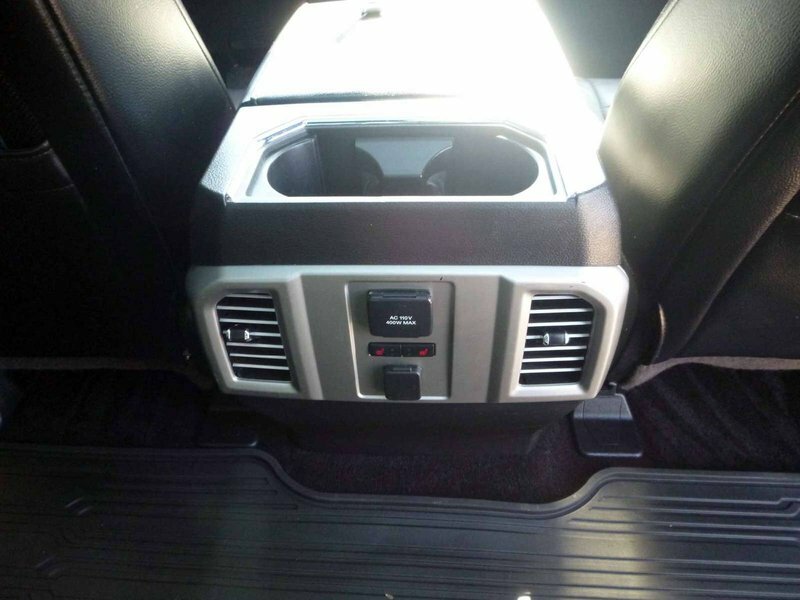 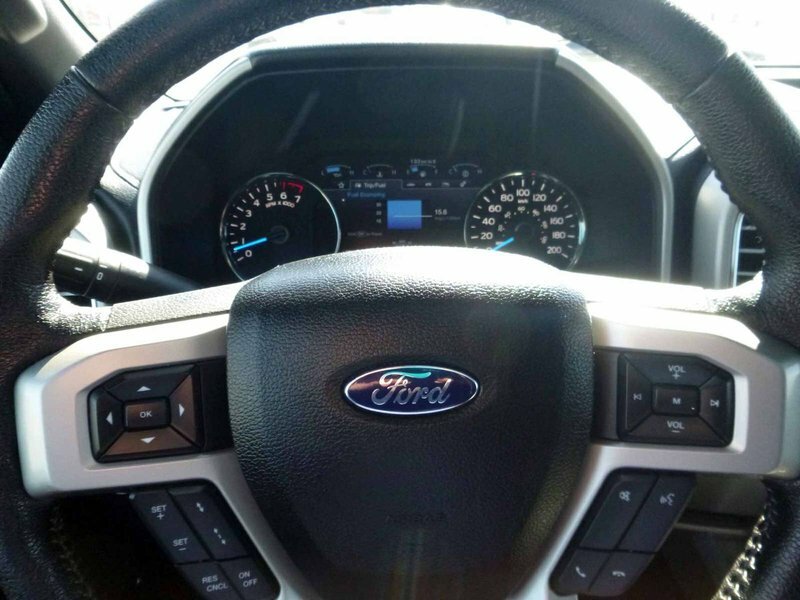 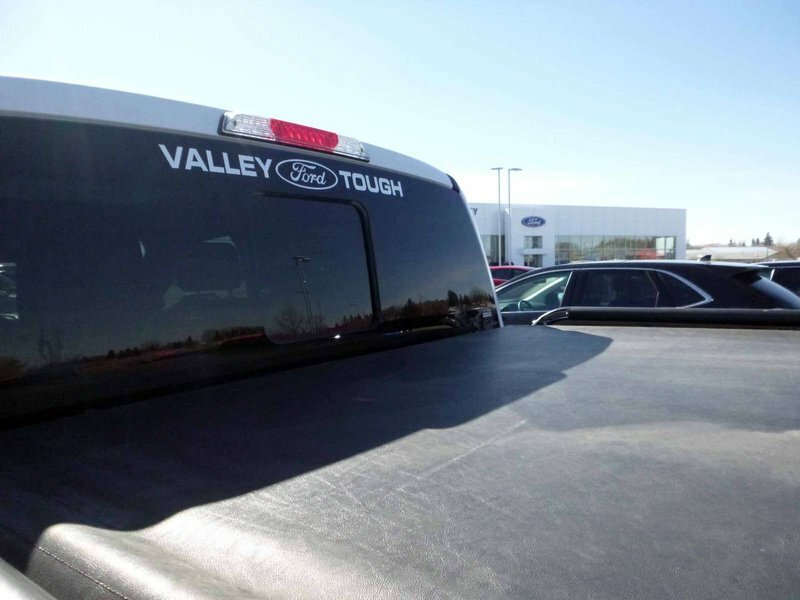 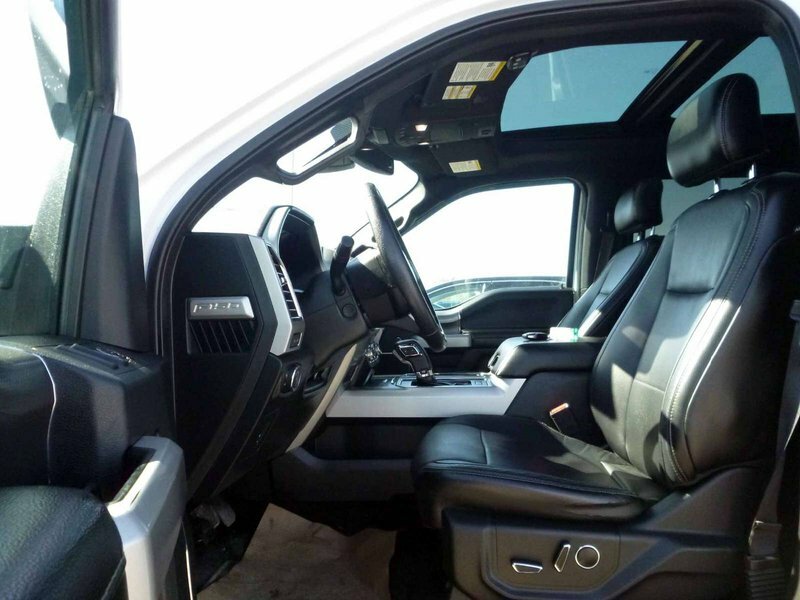 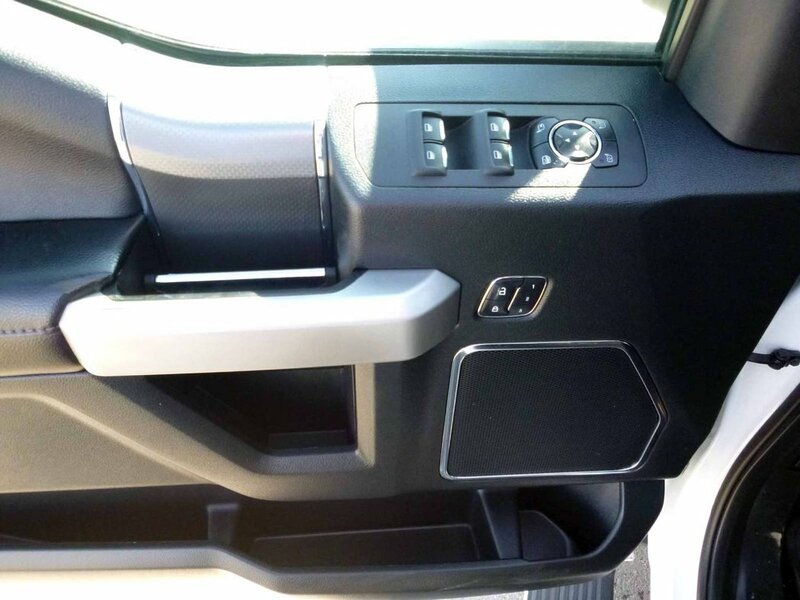 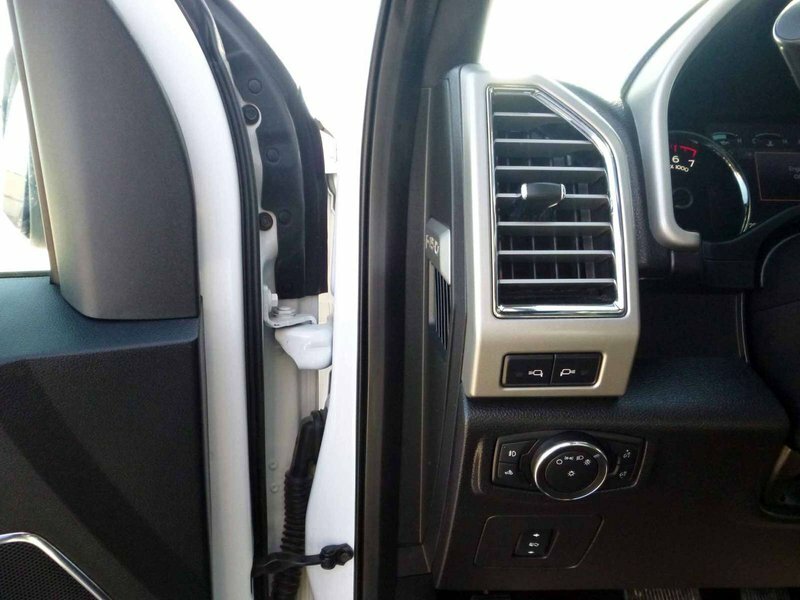 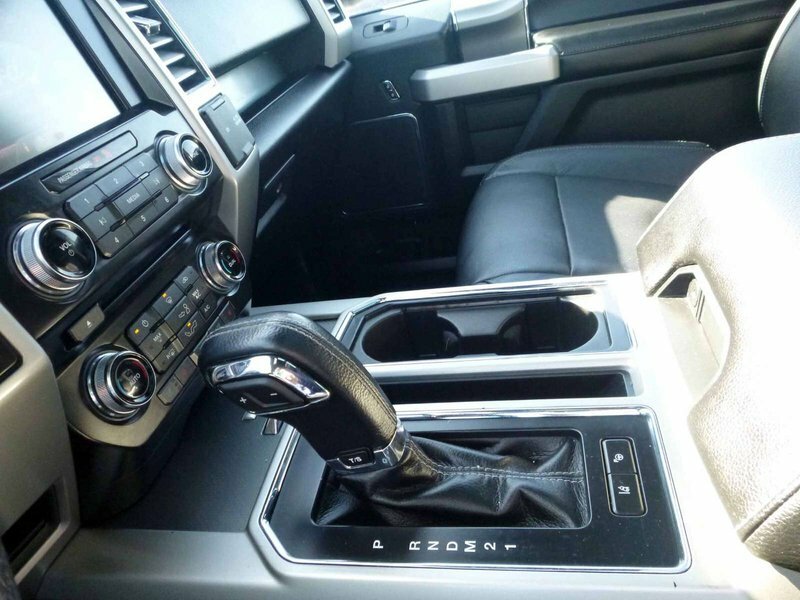 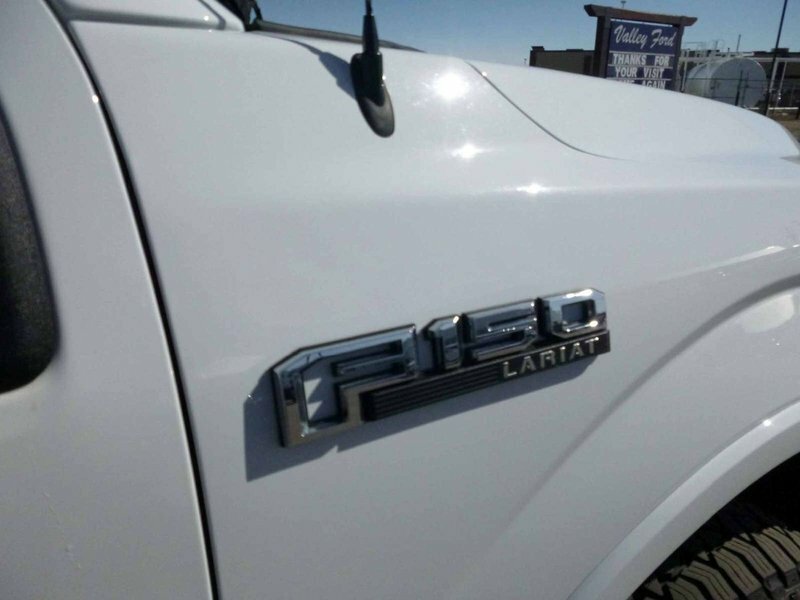 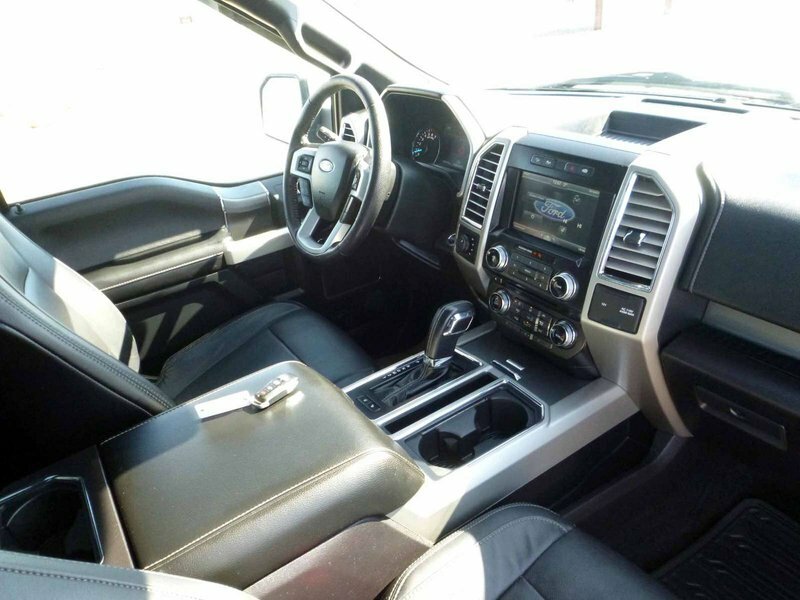 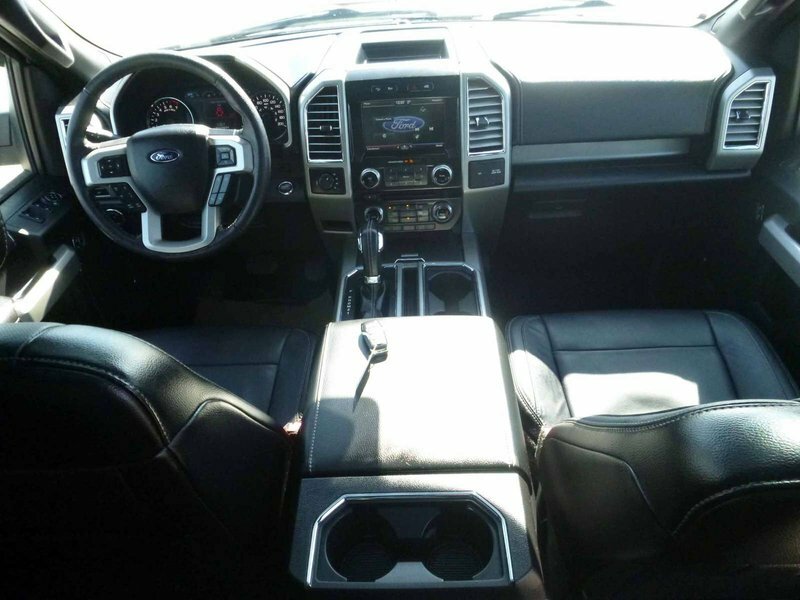 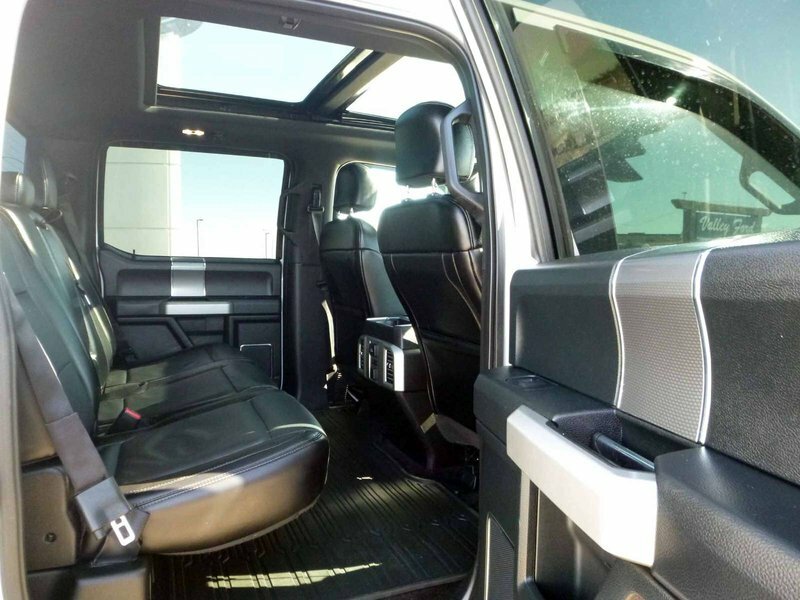 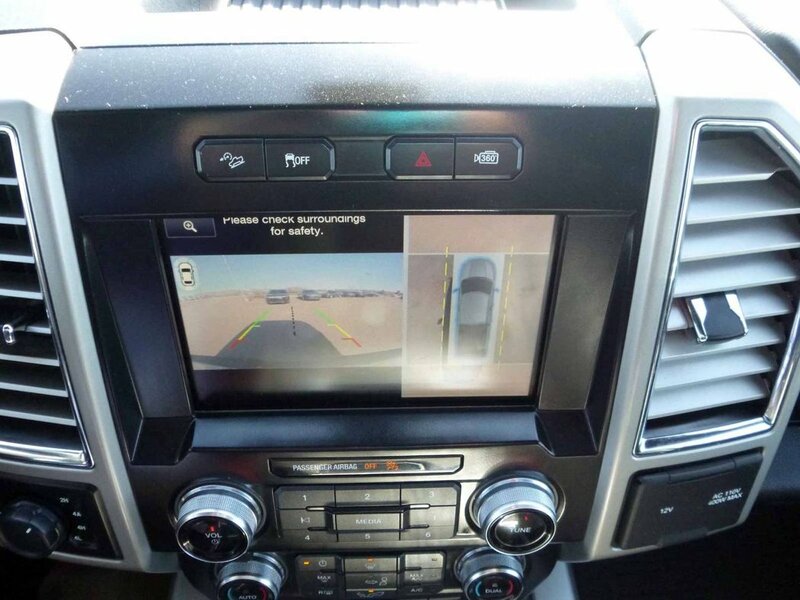 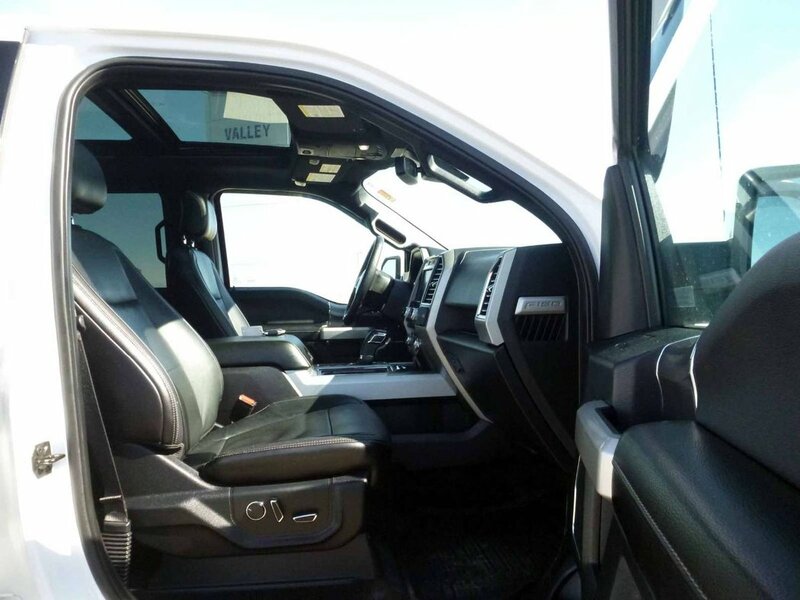 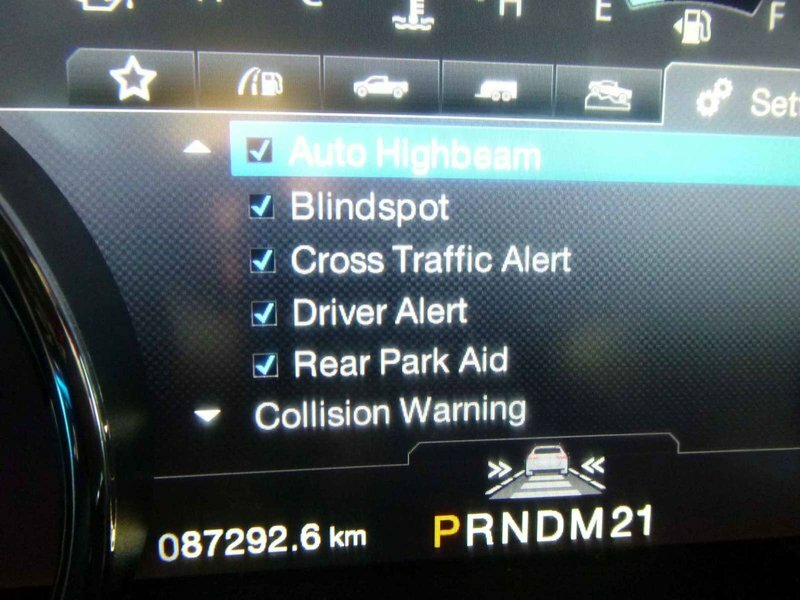 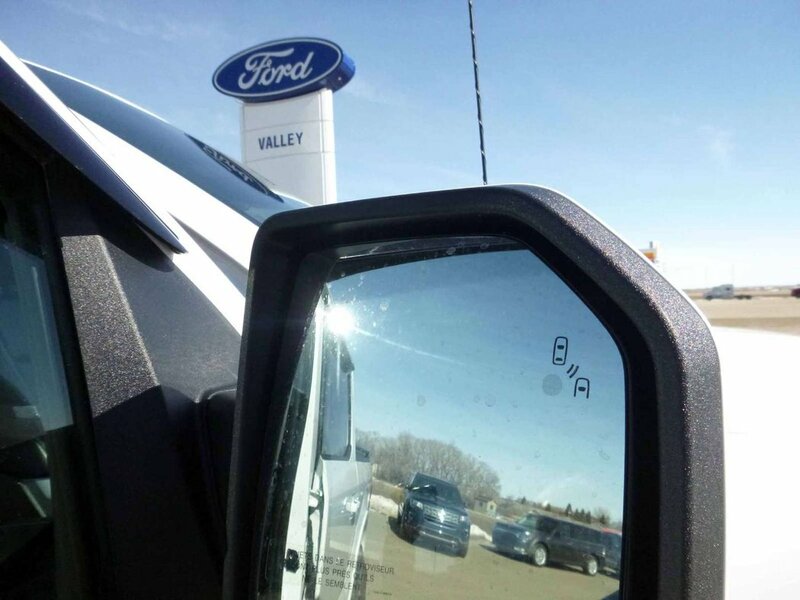 WOW......LETS JUST SKIP RIGHT TO ALL THE COOL STUFF THIS 2015 F150 LARIAT HAS TO OFFER AT OUR STORE IN HAGUE! 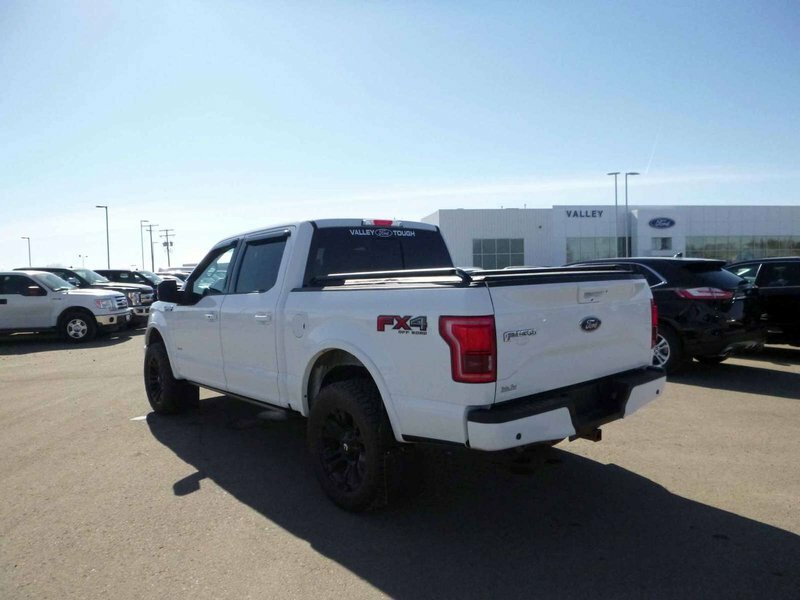 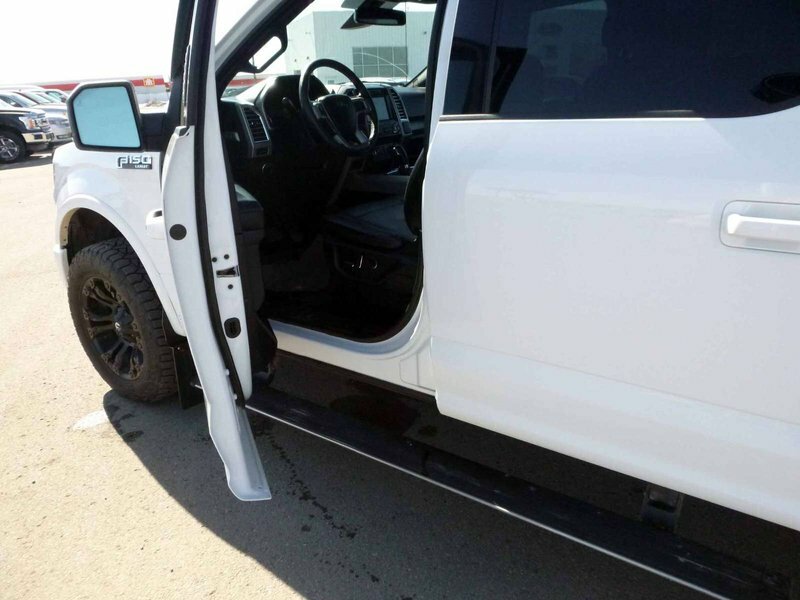 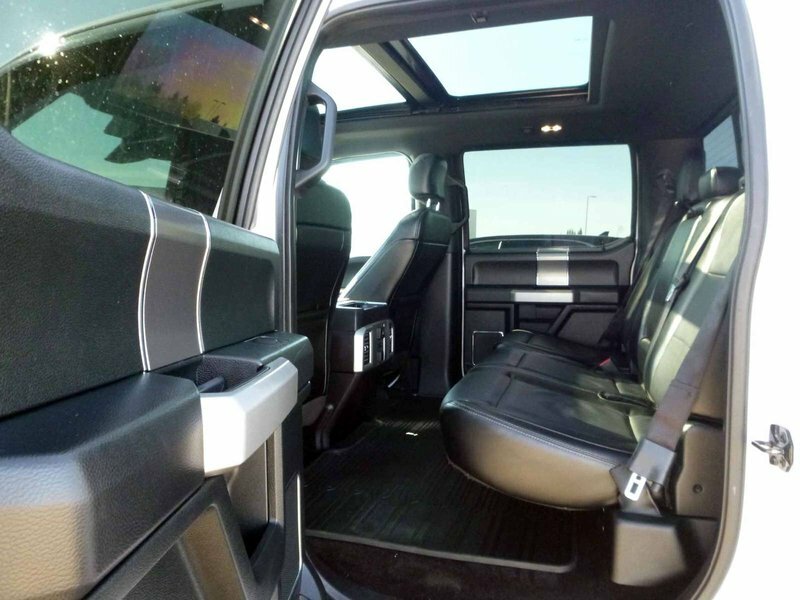 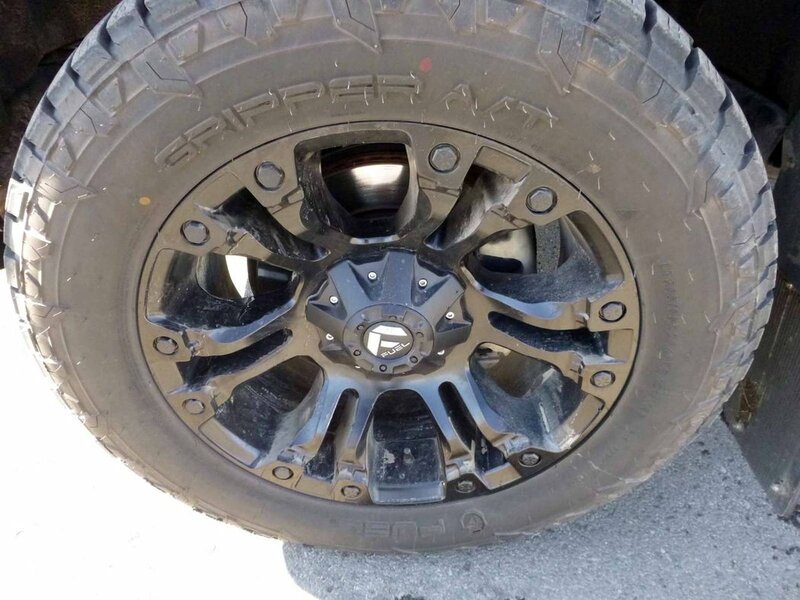 COMES WITH: FUEL SHOK RIMS, TONNEAU COVER, SMOKED BUG DEFLECTOR & WINDOW VENTS, BLACK BOX RAILS, TWIN PANEL MOONROOF, 3.31 AXLE, FX4 Off-Road Package includes electronic-locking rear axle; off-road-tuned front and rear shock absorbers; fuel tank, transfer case and front differential skid plates; FX4 Off-Road box decals; and Hill Descent Control, LARIAT Sport Package includes Magnetic 3-bar grille and surround with black mesh insert; Magnetic 6" angular cab steps; body-color front bumper with Magnetic insert and body-color upper fascia; body-color rear bumper; 18" 6-spoke machined aluminum wheels with Magnetic-painted pockets; chrome exhaust tip; leather-trimmed front bucket seats with flow-through center console; and unique interior finish, BLIS (Blind Spot Information System) with cross-traffic alert, Remote Start System with remote tailgate release, Reverse Sensing System, powerfolding sideview mirrors with power, heated glass, memory, integrated turn signal indicators, high-intensity LED security approach lamps, LED spotlights, driver’s side auto-dimming feature, and body-color mirror caps, 110-volt/400-watt power outlet on center stack, universal garage door opener, 6-speed SelectShift automatic transmission with progressive range select and tow/haul mode, heated and cooled 10-way power-adjustable front bucket seats with power lumbar, memory driver’s seat and flow-through center console with floor shifter, heated rear outboard seats, 100-volt/ 400-watt power outlet on back of center console, Audio System from Sony with HD Radio, single-CD player and 10 speakers, voice-activated Navigation System with integrated SiriusXM Traffic and Travel Link services with subscription, power-tilt/-telescoping steering column with memory and electronic locking, heated steering wheel, high-intensity quad beam LED headlamps with auto high beams, LED taillamps, rainsensing windshield wipers, Inflatable safety belts in rear outboard seating positions, All-weather floor mats, Technology Package includes 360 Camera with Split-view Display, and LaneKeeping System, Mirrors – PowerScope power-telescoping/-folding trailer tow with power, heated glass, integrated turn signal indicators, high-intensity LED security approach lamps, LED spotlights, and black mirror caps, Active park assist, Adaptive cruise control and collision warning with brake support......HONESTLY, SO MUCH MORE TO SAY ABOUT THIS TRUCK!